Here's a weird thing - kids fight about all kinds of things, but money isn't one of the biggies. 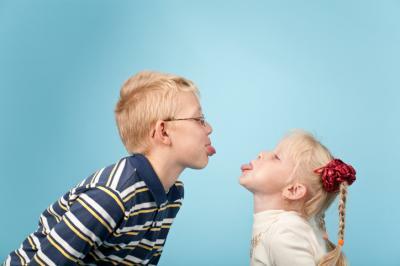 In fact, a CNBC report finds only about 15% of adult siblings say they fight about money. Of note, for the group that does fight about money, the survey found 68% said parents were the cause (how they provide financial support, divide inheritance and other factors). We figured as a banker you would like to know what your customers are doing, so we share this today. Speaking of sharing things you might want to know about, we switch our topic to the subject of commercial and industrial (C&I) lending. More specifically, we note that just 3Ys ago, New Jersey-based Investors Bancorp was a mutual. Now the $23.9B bank is scaling up its C&I lending, targeting new business customers that earn between $10mm and $50mm annually. In doing so, Investors Bancorp will compete with some of the East Coast's biggest banks. Though the bank is the third-largest based in New Jersey, it isn't as well known in the New York area as other institutions. It is planning an aggressive marketing campaign to increase its name recognition and demonstrate that it can compete with national banks. Whether they're well known or not, many community banks could profit by following Investors Bancorp's lead to increase their C&I lending. Private-company credit, a group that includes trade payables, term loans, and working capital loans, is a $4.4T market, one of the largest in the US. Research finds C&I lending accounts for 25% of all new loans. That's down from more than 40% in 1950, but the market is still a robust source of potential profit, even when economic conditions aren't ideal. Between 2008 and 2016, bank could have earned $2.6B in additional net income, with a higher risk-adjusted return, if they had kept their existing shares of C&I lending. A closer look at Investors Bancorp's plans illustrates some of C&I lending's other potential benefits. Investor's C&I push lets the bank deploy more of the capital it raised from a second-step conversion in 2014, even though an informal agreement with regulators currently prevents it from buying other banks. The expansion may also help the bank diversify its portfolio. At the end of March, C&I loans made up just 7% of Investors Banc's total loans. Nearly a quarter of its lending portfolio is in commercial real estate; the bank also has experience in health care and insurance. In the future, the bank's chief operating officer says, Investors Banc plans to limit C&I lending to about a fifth of its overall lending, or about $600mm between now and the end of the year. Investors Bancorp has grown significantly since its conversion, opening 23 branches and adding $5.9B in loans and $4B in deposits to an asset base of $15.5B. In addition to the direct returns garnered from C&I lending, Investor Banc hopes C&I will help it grow further by bringing in lower-cost deposits and increasing its overall market value. This is only one example of a bank reaping the rewards of C&I loans. There are many others, as C&I lending typically brings less risk and higher returns than other lending business segments. If your bank is not able to generate organic C&I loans, it is still possible to grow your non-CRE portfolio by purchasing Shared National Credits. If you are interested in learning more, register today for our free 2-part webinar series on Shared National Credits. It may be worth your time! After all, there is no need to fight about money or loan types when there are so many other fish to fry. Yields fell 2bp with investors looking at note sales and the release of new economic data. 1) Vantiv reportedly beat out JPMorgan in bidding to acquire British payments processor Worldpay, after agreeing to pay $9.9B for the company. The move creates a processing giant that handles millions of payments in stores, online and through mobile phones and allows businesses to accept customer card payments and online transactions. 2) Digital marketing company Red Ventures will acquire Bankrate for about $1.24B in cash, as it seeks to broaden its financial services activities. 3) United Business Bank ($698mm, CA) will acquire Plaza Bank ($70mm, WA) for about $10.8mm in stock. 4) OceanFirst Bank ($5.2B, NJ) will acquire Sun National Bank ($2.3B, NJ) for about $487mm in stock or about 1.69x tangible book. 5) Bank of McKenney ($231mm, VA) will acquire Citizens Community Bank ($216mm, VA) for about $19.0mm in stock. 6) United Community Bank ($10.7B, GA) will acquire Four Oaks Bank ($734mm, NC) for about $124mm in cash (10%) and stock (90%) or about 1.77x tangible book. 7) Community State Bank ($160mm, IA) will acquire First State Bank (42mm, IA) for an undisclosed sum. 8) East Boston Savings Bank ($4.6B, MA) will acquire Meetinghouse Bank ($118mm, MA) for about $17.8mm in cash. 9) NBH Bank ($4.7B, CO) will acquire 2 bank holding company Peoples, Inc. ($865mm, KS) for about $143mm in cash (25%) and stock (75%). Fed research finds that as of Q1, the average YTD cash dividend payout ratio to net income for banks was 50.1% for Subchapter S filers and 17.2% for non-Subchapter S filers.